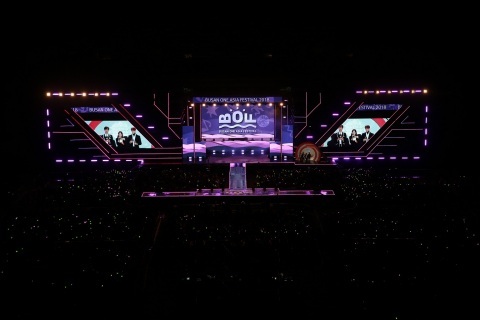 BUSAN, South Korea--(BUSINESS WIRE)--The 2018 Busan One Asia Festival (BOF 2018), Asia’s No.1 Hallyu festival, wrapped up its nine-day run with the closing concert on Oct. 28. The BOF 2018 ended in great success, attracting 273,300 visitors. It is the largest number of visitors to the festival in its history. The opening concert on Oct. 20 drew a 36,000-strong audience, who were enthralled by performances by Korea’s top musicians such as EXO, Wanna One and Seventeen. “Park Concert” pleased the ears and eyes of about 47,000 people. “BOF Land” events attracted 159,723 visitors from Oct. 20-28. 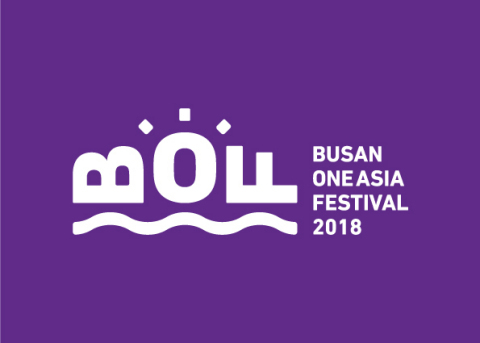 Many tourists came from overseas to Busan for the BOF 2018. They did not come only from Japan, China, Hong Kong and Taiwan but also from Southeast Asia, which proves it is Asia’s No. 1 Hallyu festival. It delighted some 40,000 foreign visitors, including 16,000 who enjoyed the opening concert. Red Velvet, Teen Top, Astro, Dynamic Duo and Mighty Mouth showed spectacular performances in the BOF Closing Concert. Mixed-gender group “KARD,” rising idol band “Favorite,” “Spectrum,” “Mighty Mouth,” girl group “April” and hip hop band “Rhythm Power” captivated spectators with powerful and cheerful performances. Mighty Mouth evoked exclamations by singing a hit song, “I Love You,” with Ah Ra of Favorite. “Dynamic Duo” created a new mood by singing “Friday Night Fever” with “Rhythm Power.” “Teen Top” and “Astro” also got explosive responses. The grand finale of the closing concert was top-notch girl group “Red Velvet,” who presented a charismatic performance. The BOF 2018, in its third edition this year, seeks to be a festival dealing with everything about Hallyu. Thus, it presented a wide array of Hallyu-leading K-content which goes beyond K-pop to arts, beauty and fashion. The festival communicated with citizens and also shared joy with them through various genres of performances and experience programs. The 2018 Busan One Asia Festival, Asia's No.1 Hallyu festival, wrapped up its nine-day run with the closing concert on Oct. 28 in great success.